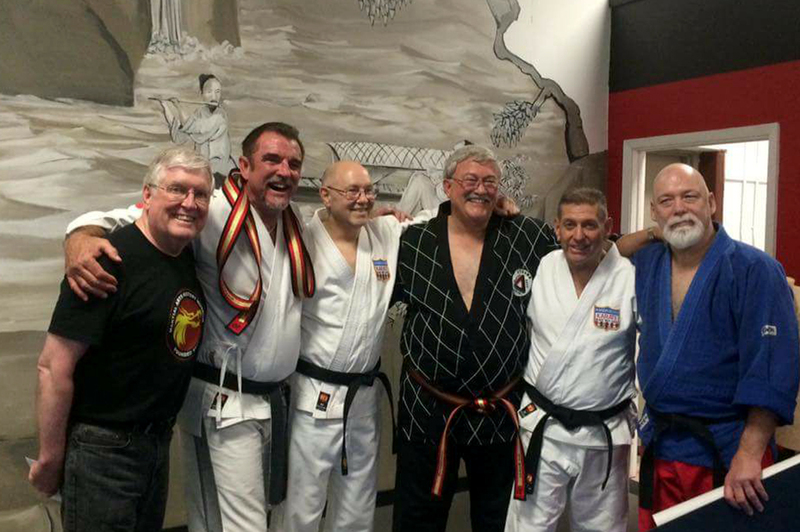 Above: Keith D. Yates, High Dan Board Chairman, Rudy Smedley (promoted to 10th dan), Dan Anderson (to 10th dan), board member Roy D. Kurban, Steve Selby (to 9th dan), and Raymond McCallum (to 10th dan) at the AKBBA High Dan promotions held on May 13, 2017. AKBBA founder Allen Steen presided over the ceremony held at Lone Star Taekwondo Academy in Pantego, Texas. Congratulations to these well-deserving martial arts icons and pioneers.